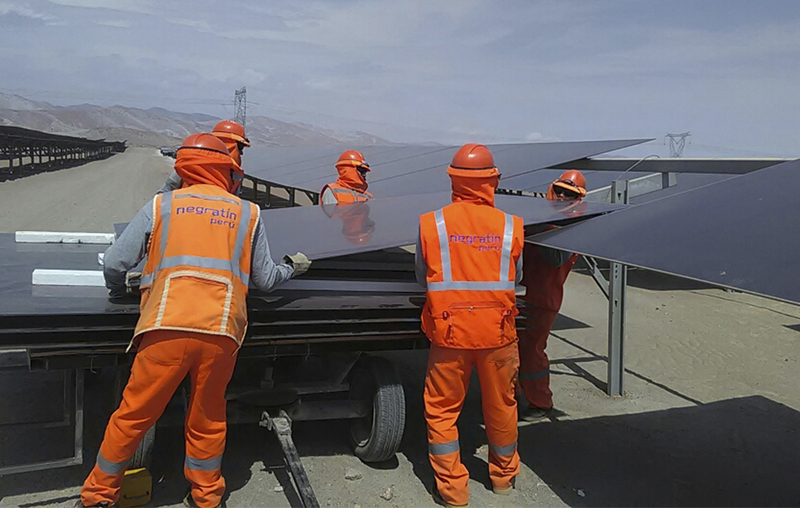 Negratin Peru team have been working in a solar PV plant during the last 6 months. We are so glad to inform you, that we have just sucessfully finished the revamping works in the repartición solar plant. Our Team performed several activities just like: engineering, structural design, electrical works and the assembly of differents parts of the plant. This job was realiced by differents and specialized teams in the field of constructions and maintenance of photovoltaic solar plants. Thanks to those teams, Negratin has succesfully managed to reduce the execution programme and deliver this plant in satisfactory conditions at full capacity to our client. The repartición solar plant have a capacity of 22 MW and you can find it located at La joya district , Arequipa Region, Peru.